Madrid-bound Gareth Bale is likely to rent a villa from Kaká in a luxury urbanisation popular with Real Madrid players, with a rental yield that suggests housing there is too expensive, if press reports are correct. Welsh footy star Gareth Bale, Real Madrid’s second most expensive signing, is expected to move in a few doors away from Cristiano Ronaldo, the most expensive signing, according to El Mundo, a leading Spanish daily. 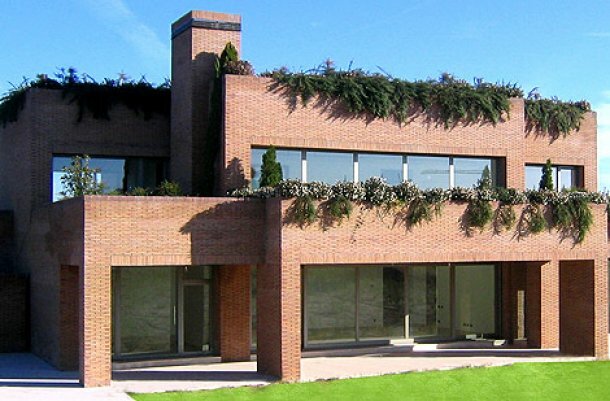 Bale is expected to rent a villa belonging to ex-Madrid player Kaká in the La Finca urbanisation in Pozuelo de Alarcón, for 12,000 Euros a month. The house, built by the architect Alfonso Azqueta, is reported to have two floors plus basement, 1,400m2 built, a private indoor pool and gym. “It’s more than 90pc probable that he will go for this property,” a source told El Mundo. Kaká bought the property in 2010 for 7.2 million Euros, which implies a miserable gross rental yield of 2pc. If that is typical of rental yields for luxury properties in Pozuelo it sounds like prices are still way too high compared to rents. I thought bale cost more than Ronaldo by about 6 million pounds, you report bale cost less? That’s what I read in the Spanish press. They described Bale as the second-most expensive signing in the club’s history. http://www.elmundo.es/elmundo/2013/09/23/suvivienda/1379952389.html in which he is described as the second most expensive transfer in football history, in another article I read it said the 2nd most expensive in Real Madrid history. I dunno. Of course what we read in the press, in Spain or anywhere else, can not always be assumed to be true in this case the Bale transfer was reported around the world as the most expensive ever. Of course looking at the other twists to the facts the Spanish press normally manage, the statistics surrounding their economy and housing market for example maybe we can assume they are not always right and correct in what they write.